Fifty years on from The Beatles album cover, ‘Sgt. Pepper’s Lonely Hearts Club Band’, British pop artist Peter Blake has been commissioned to create a 25 metre collage to cover the width of Mandarin Oriental Hotel. 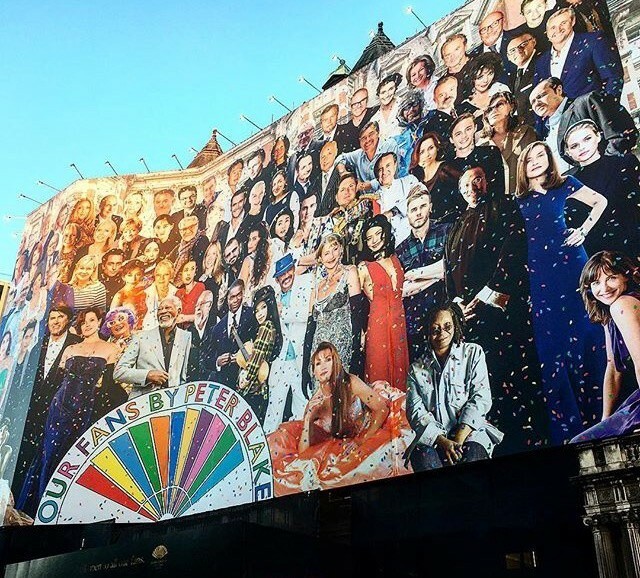 The collage includes 100 celebrity figures which stretches across the façade of the Mandarin Oriental Hotel, Hyde Park whilst it undergoes renovation.